The county seat of Allen County, Lima is a town in Ohio with just over 37,000 residents. Known for its variety of parks and museums, Lima also has a great selection of Victorian architecture in the guise of gorgeous mansions. This Ohio town offers visitors a glimpse of the great outdoors with the Lippincott Bird Sanctuary and the Johnny Appleseed Metropolitan Park. Lima is also a great place to be when a dental emergency strikes. A large selection of dental specialists and general dentists are available to fix your dental problem. The Emergencydentistsusa.com website is designed to make your search for a new emergency dentist a breeze. Just log onto our comprehensive website and scroll through the listing of Lima emergency dentists. Click on the dental office that suits your needs and set up that first appointment. At your fingertips you will find office hours, driving directions, and even insurances accepted. The Emergencydentistsusa.com website the perfect choice when you need a new emergency dentist in Lima. Want to speak with a live person who can help you to choose a new dentist? Call our toll-free dentist finder hotline and get connected with a caring agent who is always ready to help you select a great dentist. Your agent can also set up your first dental appointment and offer you driving directions to the dental clinic. Remember to arrive at least 10 minutes early for your first dental examination. This gives you plenty of time to fill out the new patient paperwork. Also, bring your photo ID and dental insurance card with you to the dental office. Lima is a lovely town to visit and to make your new home. This town is also a great choice when it comes to a dental emergency. Scroll down to see some of our top Lima dentists listed below. Description: With advanced screenings for oral cancer, dental implants, and digital x-rays, Aspen Dental provides full-service dental options for the whole family. Three caring dentists and a flexible schedule make it simple to get the dental solutions that you need. Aspen Dental offers restorative care and cosmetic services in this Lima dental office. 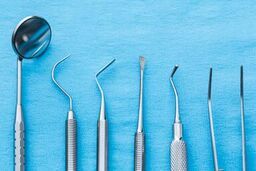 Description: Offering truly exceptional dental care that begins with whole body health, Whole Health Dentistry is a great choice for the whole family. This convenient dental office offers restorative care, cosmetic services, and places an emphasis on dental maintenance and preventative care. Friendly dentists and a caring office staff make Whole Health Dentistry a favorite in Lima. Description: Dr. Amerson at Burns Dental is always available to ensure that your dental emergency ends quickly. From restorative care to cosmetic services, this full-service dental office is perfect for the whole family. Improving your oral health and overall beauty while practicing clinical excellence sets Burns Dental apart from the rest. When your dental pain causes you to wish that you were at the dental office right now, it is time to choose a new Lima emergency dentist. Any tooth pain that lasts for more than an hour or two requires the services of a great dentist. Keep in mind that dental problems that stem from an accident like a car accident or fall might include more dangerous injuries. This means that a visit to the nearest hospital emergency room is very important to ensure that you are healthy enough to visit the dentist. The Ohio Dental Association website is a great place to easily check current licensing when you choose a new Lima emergency dentist. Just log onto the website and enter your dentist’s name into the search box. View current licensing and credentials right online without leaving your home. You can also see these documents when you visit the dental clinic for your first appointment. Most dentists keep current licensing on display for patients to view.